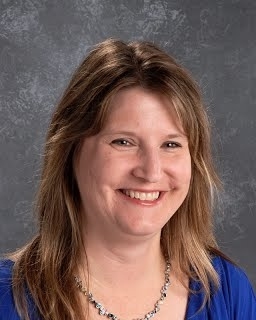 Hello, my name is Kristi Burk and I teach Fifth grade at Truman Public Schools. I began my teaching career in Jackson, MN in 1996. I spent two years teaching Gifted Education and Title I in Blue Earth, MN. The rest of my career has been in Truman. I got my Bachelor’s Degree from Mankato State University in Elementary Education and my Master’s Degree from St. Mary’s University in Education. When I am not teaching, I enjoy life on the farm. My husband, my two daughters, I love to camp and go biking in Lanesboro, MN. I also like to read, knit and do crafty projects, and watch Hallmark movies.